This website showcases examples of school-developed context-based teaching and learning projects collaboratively developed by teachers, Aboriginal education workers and local community members. The website materials show the educational and cultural journeys of teachers, students and community members in a range of schools and communities in rural and urban areas. Where possible these are recounted through video, audio, digital images and work samples. The website also provides examples of processes that teachers might use to develop contextual classroom teaching units that connect learning outcomes and content with the needs and interests of students. Schools and communities are encouraged to work with the materials and use them as a guide for their engagement with the task of improving the educational outcomes of Aboriginal students. A series of 8 posters, which have been updated and republished, outlining significant social and political events that have affected the lives of Aboriginal people. High quality print versions of these can be purchased from Shop Online. What is it that makes Aboriginal art unique? View an Indigenous artists' gallery of artworks as shown in Affirmations of Identity, along with a Teacher's Handbook containing 8 units of work that support the teaching of the Visual Arts 7-10 Syllabus, a comprehensive bibliography, and PowerPoint slide shows of Aboriginal artists' works in four different genres. 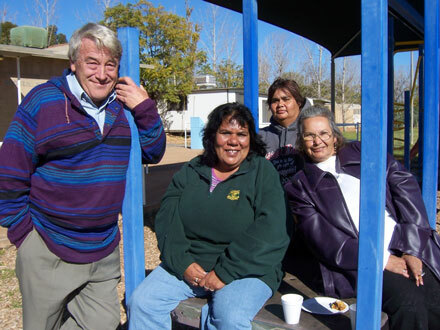 Practical advice about authentic involvement of Aboriginal community members in the development of school curriculum and curriculum-based projects. View practical advice and lessons from different K-6 and 7-10 Aboriginal language programs developed in NSW since 2004. Read about the experiences of schools and communities running these programs. Download teaching and learning programs that are updated annually. 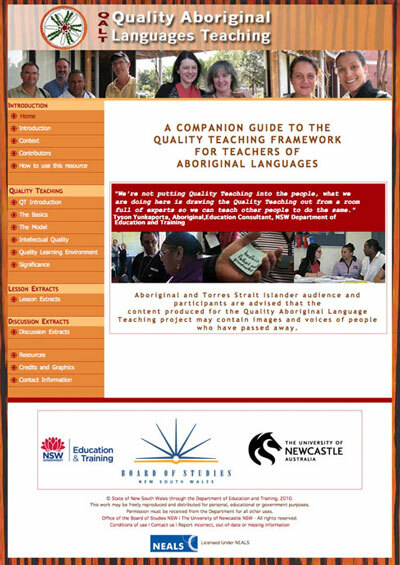 QALT - Quality Aboriginal Languages Teaching - applies the principles of the Quality Teaching Framework to the teaching of Aboriginal languages. Go to the QALT website for details of the project. Support material to assist teachers deliver the Aboriginal and Indigenous cross-curriculum content embedded in 7–10 syllabuses in the key learning areas of Science, English, TAS and PDHPE.